The Fostex T50RP, with its potential to sound truly fantastic with simple modifications, has exploded in popularity in recent years. Naturally, not all people are willing to spend large amounts of time and money trying to make their T50RPs sound good, so thus opened the market for people to sell modified T50RPs, starting with Smeggy’s Thunderpants, then Dan Clark’s Mad Dogs and LFF’s Paradox. Now, a man named Zach Mehrbach has stuck his toes in the modified T50RP field with not one, but two versions of his particular take on how the T50RP should sound, and at $100 cheaper than Mr. Speakers’ Mad Dogs. This is one of the rare situations in which I can’t really talk about how pretty packaging is because, as this is a modified product, this is packaged as a regular T50RP, which is meant to be a studio tool. As such, the cardboard box the T50RP comes in is very basic and not worth much mention. The headphones themselves seem like they’d be able to take substantial abuse since there’s not too much to their build. The headband is a solid piece of steel, which can take substantial flexing, the adjuster is solid steel as well, and the cups are held to its gimbal with a screw and a thick piece of (probably very close to unbreakable, I hope) plastic. 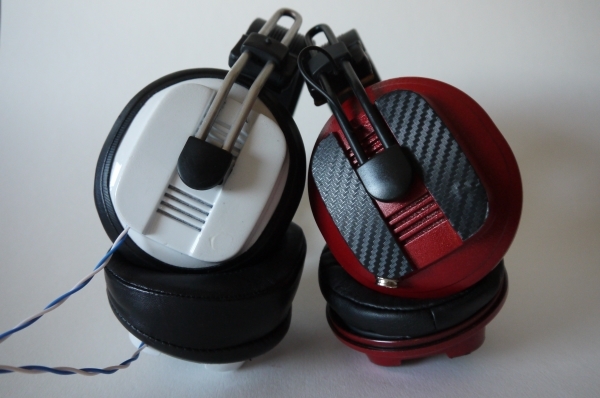 The Zach Mehrbach mod (shall be referred to as ZMF from now on) happens to use Brainwavz HM5 pads, which are made of very soft pleather and thick foam that creates a vacuum its first few uses. Zach also adds a leather strap for comfort, as the stock headband has no cushioning, which leads to pain after a couple of hours. 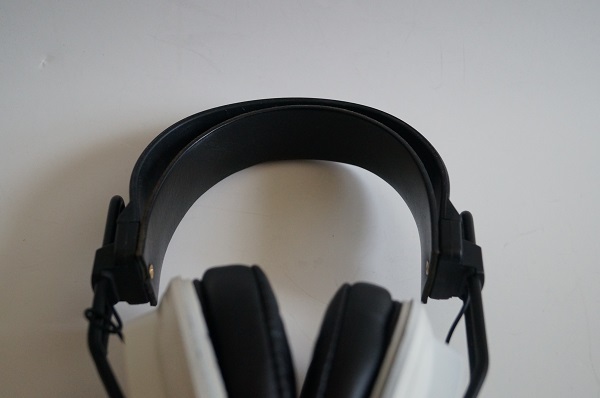 With the leather strap, I’m able to use them until my ears feel fatigue from the intense seal the HM5 pads give me. Zach also offers an option for a “Pilot headband pad” which offers immensely more cushioning and more support than the leather headband. 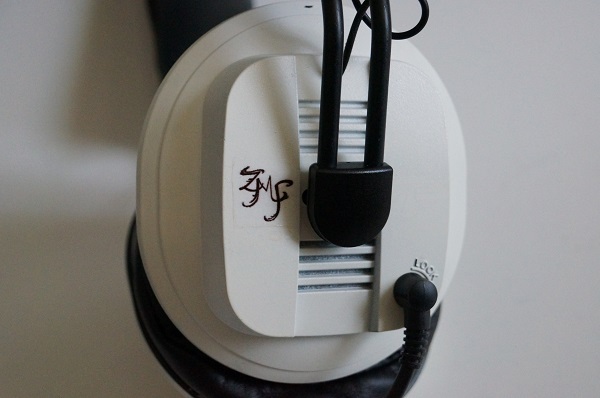 The downside is that it adds $30 to the ZMF’s price. 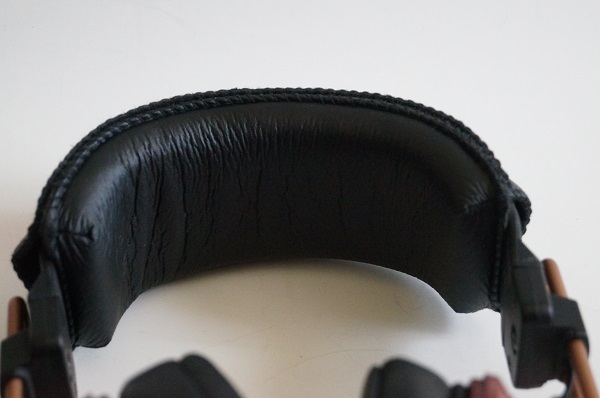 I personally didn’t like the Pilot headband pad, but since the leather strap isn’t padded, I’d imagine having less hair on my head would change my opinion. Mr. Mehrbach was kind enough to send me both versions of his ZMF mod, so I’ll be reviewing both versions here, starting with the less bassy Classic version. How do you think these compared with the Mad Dog 3.2’s? 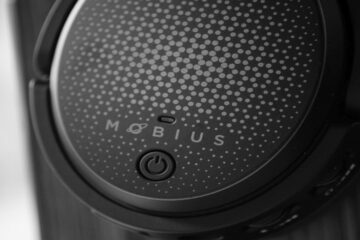 If anyone is following these comments, I’ll be buying the new ZMF Vibro headphones as soon as they’re ready. Yes, there will be a review on here. Actually me also :) Kyle? I’m having a go at the Vibro, which I like quite a bit. I’m less excited by the regular mods. about detail ? clarity overall ? Soundstage ? Sorry, I’ve never heard the SRH940, but in comparison to the SA5000 and DT880, these go for a completely different sound. Whereas the SA5000 and DT880 go for detail and treble, the ZMF is strictly built for musical enjoyment while still sounding very realistic. Sub bass is somewhere in the middle between extended and rolled off, and it all depends on how well the headphones seal on your head. My particular pair has a good amount of mid bass, but I’d never say it’s bass heavy. I’d describe it as warm and romantic rather than bassy. I have one of these and it’s truly great. 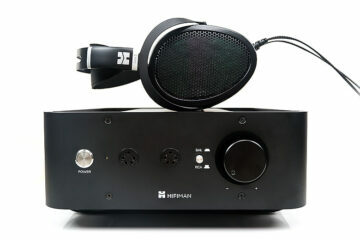 I retired my he-300 and hd595 after getting it. Kyle is really friendly and responds quick in email too. Thanks! And these have seriously satiated my home closed-headphone search, but I wish these were a bit smaller because they’re pretty hard to walk with. I have to walk about a mile between classes and it’s not the most comfortable to walk in. The earpads are fantastic for cold weather though.